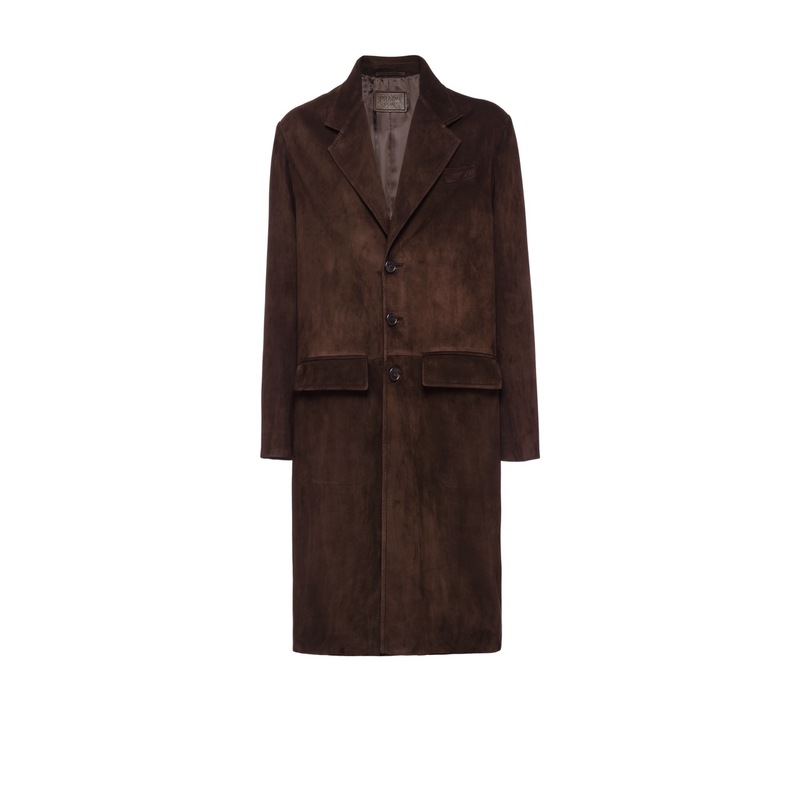 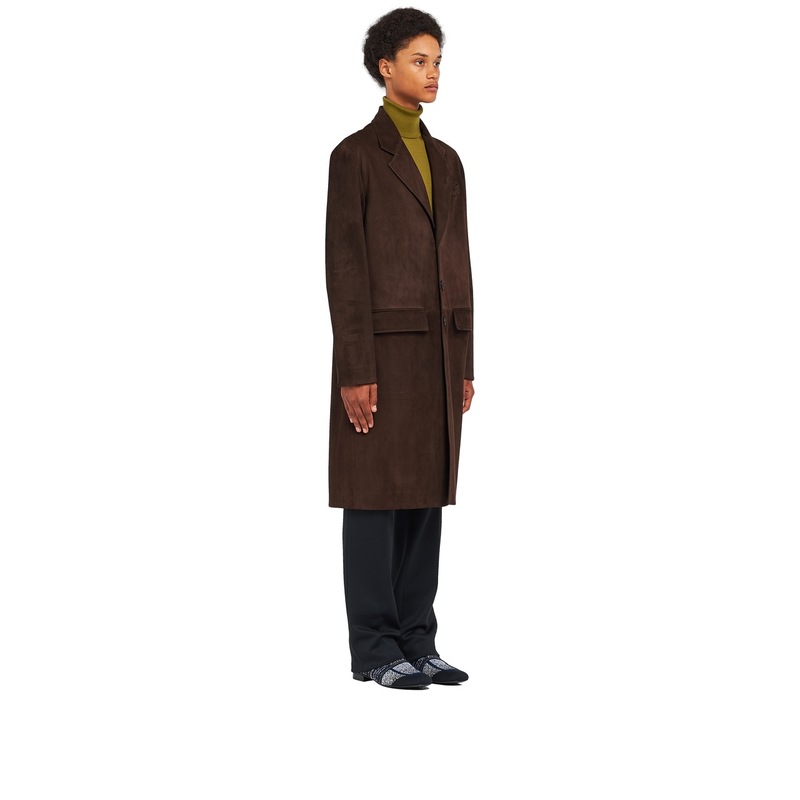 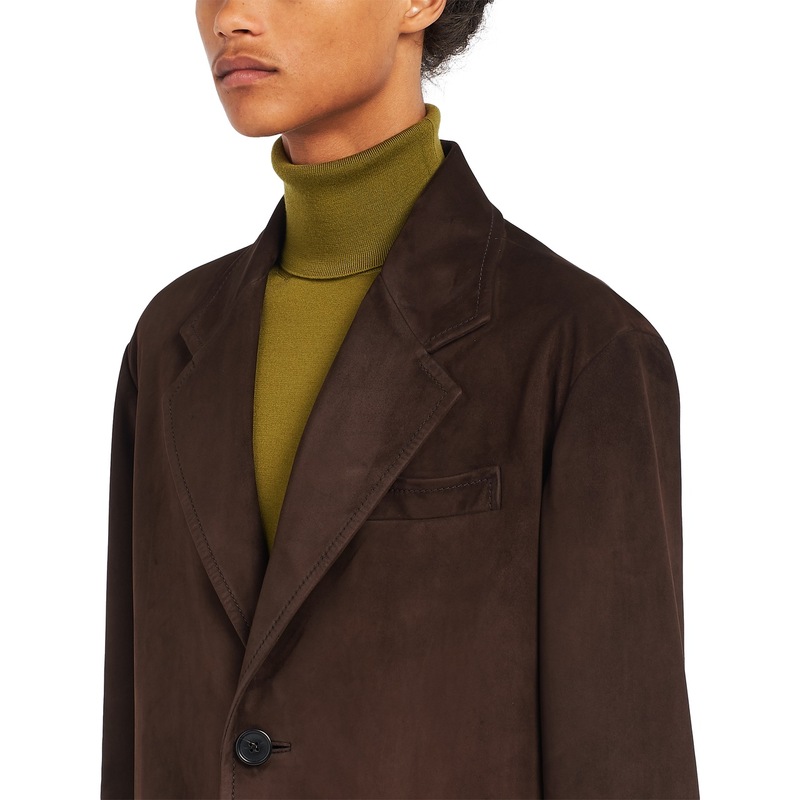 This coat is made with a new type of suede, introduced in the S/S 2019 collection, which has undergone a special treatment that makes it very soft to the touch. 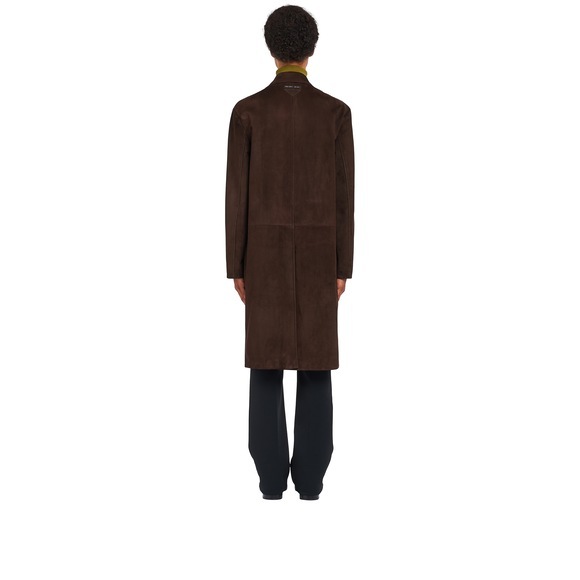 The long coat has a straight line with back vent and is characterized by classic details like lapels and flap pockets. 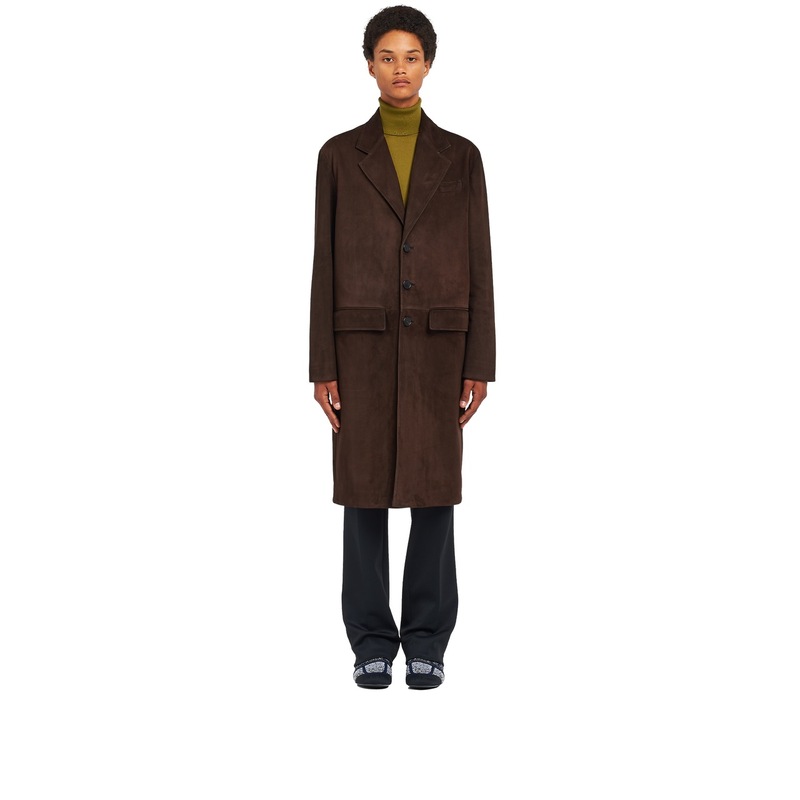 Triangle logo with sartorial label on the back.